Seeing red because you’re having a hard time finding this year’s Halloween costume? 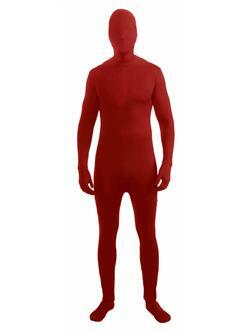 Keep calm and order the Red Skinsuit For Adults! When you wear this red hooded mask and jumpsuit with attached gloves and socks, you can terrify people as a demonic entity (or the devil himself) or be a delicious strawberry or tomato. You can even use this great skinsuit again at Christmastime to show your holiday spirit.